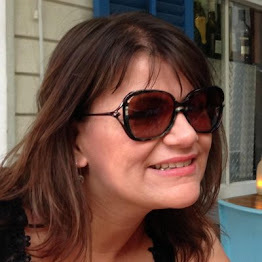 Today on my blog I have a guest post from my good friend Lucy, Lucy runs The Parent Game blog and recently had a fantastic opportunity to travel to Lapland. This is what she got up to on her trip. Travelling to Lapland is the culmination of a lifelong dream for many people. 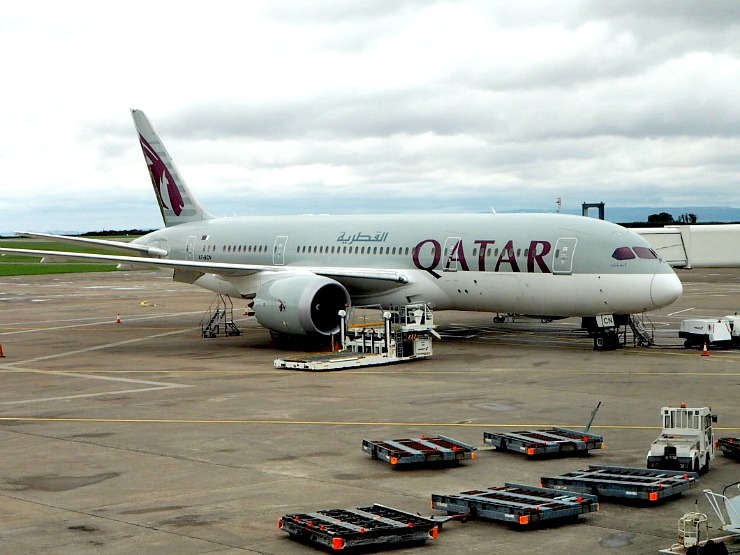 It is the kind of destination which can be a long time in the planning and the result of years of build-up and saving. So, how do you decide what to fit into your dream holiday? Which of the many trips and excursions are going to make your adventure extra-special? We've put together this guide on making the most of your Lapland holiday, using our own experiences from our base in the fabulous Ruka Ski Resort in Kuusamo, Finland. Whether you are travelling as a couple or a family, there is something for everyone in this stunning part of the world. My son and I visited Ruka in March for five nights and it was a jam-packed trip. I've included all the activities we tried ourselves, so all of them are suitable for children, although this is not essential! All the activities we tried are available either at the resort, or a short drive away from Ruka and there is also a reliable bus service. All our activities were organised through Ruka Safaris, who offer friendly and helpful guides to make sure you get the most from your experience. Although it is sometimes possible to hire equipment and go it alone, I highly recommend making use of them, especially if you are short of time, as they know all the best places to go to get the most from every activity. 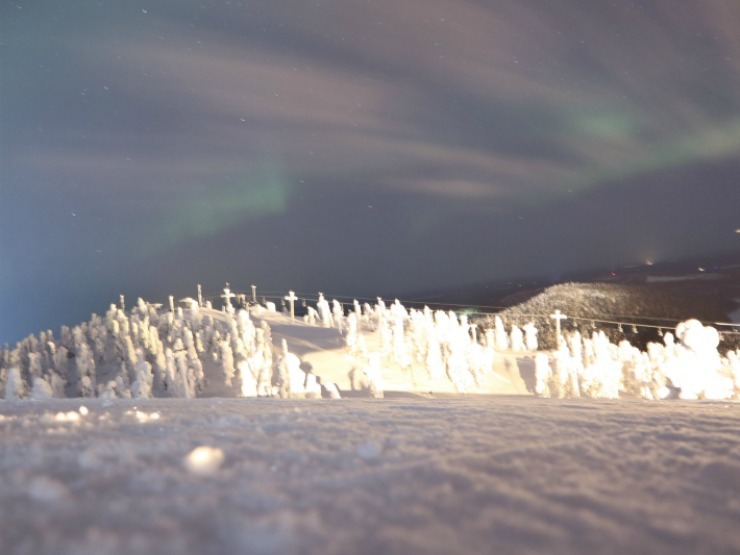 Ruka is most famous for its fantastic skiing facilities. They have amazing ski slopes, ranging from beginner to expert and everywhere in between. The expert slopes are viewable from some of the many restaurants in the resort, and it's lovely to look out at the skiers and snowboarders flying down the mountain as you enjoy some local cuisine. 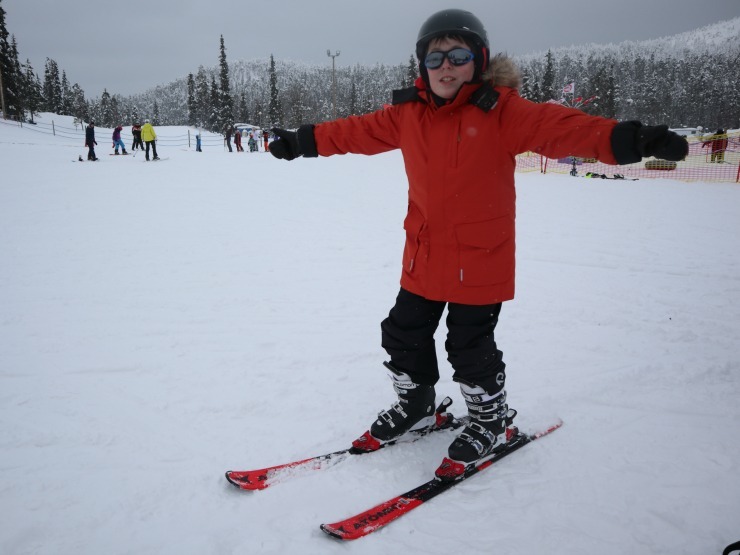 If you have children or are more of a beginner, it's a short free bus ride to Ruka Snow Park, which has everything you need for beginner skiing. You can hire all your equipment, which is expertly fitted, and even book a ski lesson with one of the friendly instructors. Children are encouraged to take part and the instructors are lovely with little ones, there English is pretty good too, which really helps. As well as skiing, you can also hire toboggans for children to try on the slopes, or even have a go at snowboarding. There is also a restaurant where you can get a lovely cooked meal, we had Lasagne, or just enjoy a drink and snack while you rest from your activities in the warm. 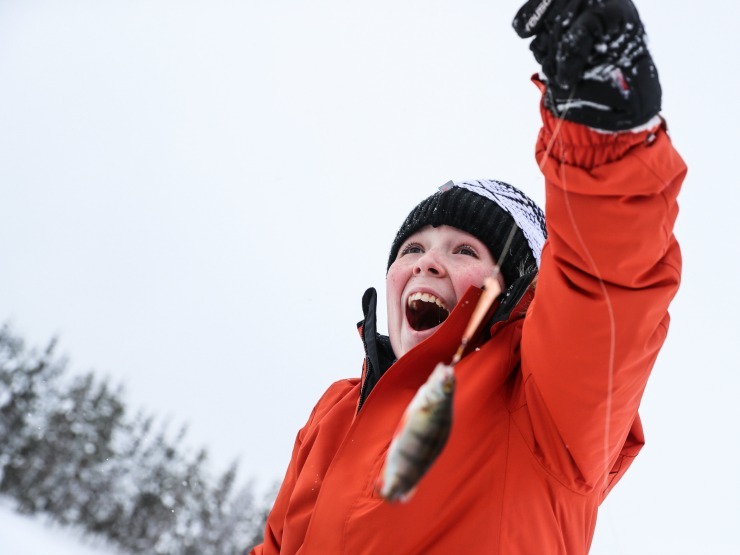 Ice fishing is a brilliant activity, particularly if you want to really experience the Lappish culture. When you visit Lapland, you will notice a lot of large snow-covered areas, that look like fields. These are actually lakes and Finland is famous for having, not only a lot of lakes but also the cleanest water in the world. Ruka Safaris offer Ice Fishing expeditions where you will be taken to the perfect spot in the middle of a frozen lake. There, you will be shown how to drill through the ice and then provided with bait and equipment to try to catch a fish. It's beautiful and peaceful out on the lake and it's enjoyable just to be there, but nothing beats the feeling of excitement when you actually catch something! Ruka Safaris offer lots of options for snowmobiling. You can choose a long or short safari, to various destinations, you can even organise a safari from Kuusamo airport to your accommodation, as an extra-special start to your holiday! As we had children with us, we took part in a group safari around a lake, which wasn't too long and is perfect if you are a bit nervous of driving these pretty large machines, especially if you have your offspring on the back! For children to travel with you, they have to be able to reach the footrests, otherwise, they will need to travel in a trailer. It is best to check with the guide when you book. We visited Lammintupa to take part in a husky ride. Lammintupa is a short drive from Ruka Ski Resort and well worth the trip. There are lots of different activities to do there and they also have a cafe which makes the most delicious pancakes! The Husky ride was very exciting. 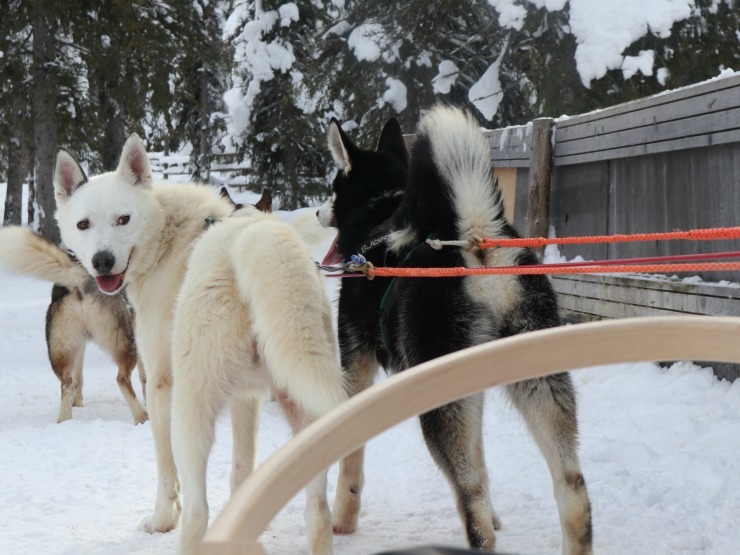 You are given a big kick sled (where you stand on the skis at the back) which has a basket in the front for a passenger and is pulled by six really excited dogs. You have a brake and so have some control over how fast you go, which was great for me, because I was a bit scared and thought I was going to fall off! The huskies follow a set route and you are instructed to use the brake if you start to catch them up and use your feet to help them along if they start to struggle uphill. It takes a little getting used to but is worth it as it's a truly unique experience and really fun. 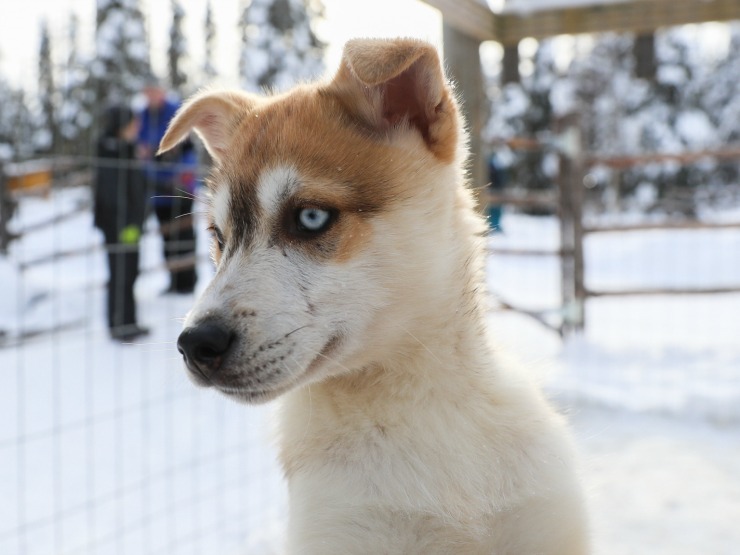 While you are there, you can also spend time with the husky puppies, who are obviously adorable! Also available at Lammintupa is another favourite of a Lapland holiday, the sleigh ride. Before you enjoy a ride through the countryside, you are able to meet and feed the reindeer and find out a bit more about them. We did our sleigh ride straight after the huskies and it was lovely to be able to do something so relaxing after all the adrenalin and excitement. The best part of the sleigh ride, which also followed a set route through the forest, was that you had plenty of opportunities to take in the scenery. And, wow, what a scene! Miles of unspoilt, beautiful snowy forests, everything sparkling and white, a truly fantastic landscape that you will never forget. With the reindeer sleigh, both passengers get to sit down in the comfort of the sleigh and it's very easy to steer the reindeer around the route, so it's relaxing for everyone. If you are very lucky, like we were, you can sometimes catch sight of the iconic Northern Lights from your balcony. We stayed in RukaSuites Apartment Hotel and the balcony was a definite highlight, along with a very welcome sauna, which is an important Finnish tradition. For the best view of the lights, though, you need to get away from light pollution, then the lights are easy to see, take photos of, and you tend to get a better impression of the different colours. Ruka Safaris offer guided tours either on foot, by snowmobile or on the bus. The Northern Lights are never guaranteed, they are fickle and prefer to please themselves when they show up, but the guided tours offer the best chance of seeing them because they have a lot of experience in when they are most likely to show up. Lucy stayed at the Ruka ski resort. Would you visit Lapland? It sounds like an amazing trip. 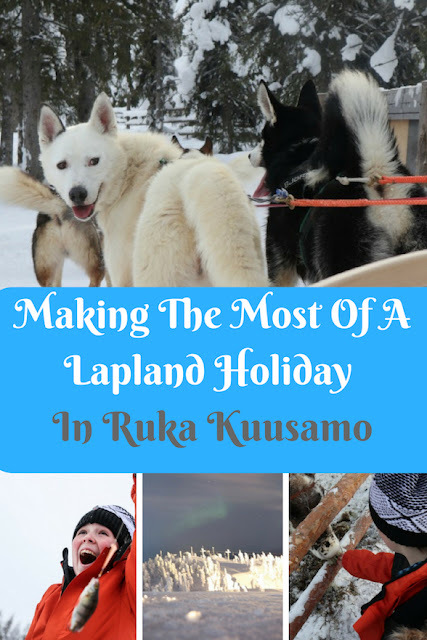 We stayed in Saariselka in Lapland and loved it, I would love to go Ruka, especially as I didn't get to see the Northern Lights when we visited. The Northern Lights are so elusive. I've been to Iceland twice and haven't seem them yet. Oh my gosh, how incredible! This is a total bucketlist destination, the huskies are so cute! WOW!!! That looks like the most incredible trip! We have never made it to the real lapland yet but have had some great days at lapland UK! Is Lapland UK any good? I know, that's one amazing photo isn't it? This looks like an amazing trip. I really want to take the kids there to see Santa but we haven't managed to yet. Wow! 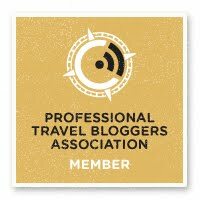 I really enjoyed reading Lucy's write up about her trip - she has certainly whetted my appetite for an adventure in Lapland. It all sounds so exciting, especially the husky ride! The husky ride does sound super cool doesn't it? !